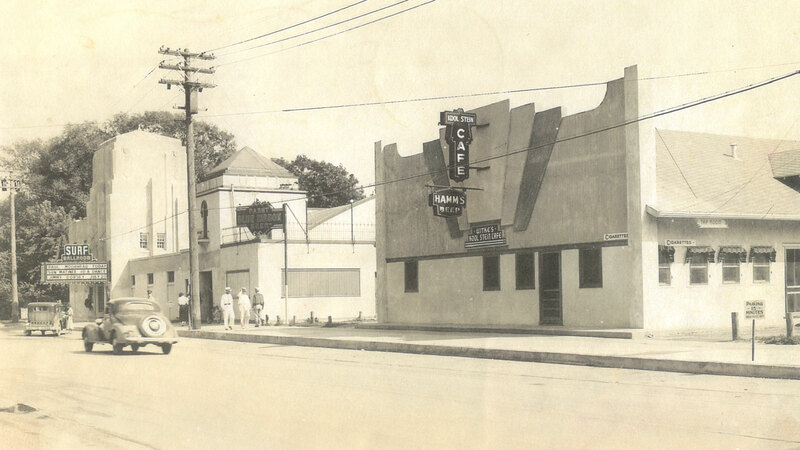 The Original Surf Ballroom was built by Carl J. Fox across the street from its current location on the shores of Clear Lake. The venue featured a 90x120 foot hardwood dance floor and a roof garden for dancing outdoors. Throughout the 30's and 40's the original Surf was a "must stop" venue for Big Band seeking to gain National attention, performers such as Count Basie, Duke Ellington and Dorsey Brothers. Carl Fox sold the Surf and two sister ballrooms, The Terp & The Prom to Prom, Inc. of Chicago for $1,300,000. 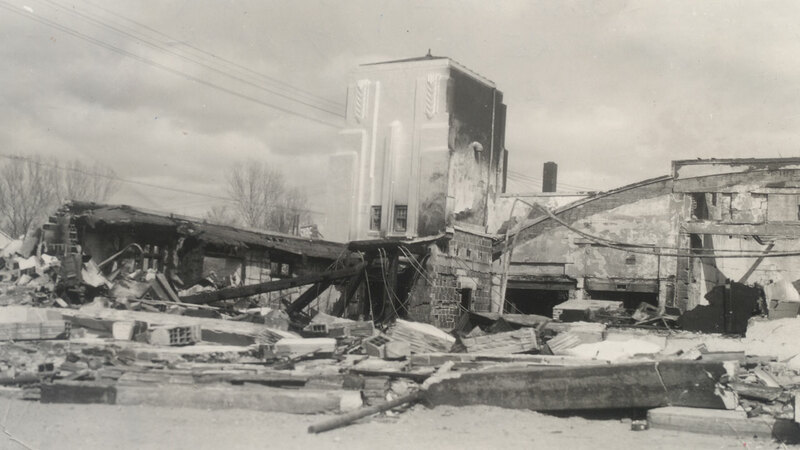 Fire destroyed the Original Surf Ballroom. Plans for its replacement were quickly underway. The current Surf Ballroom reopened. The cost to rebuild was an estimated $350,000. 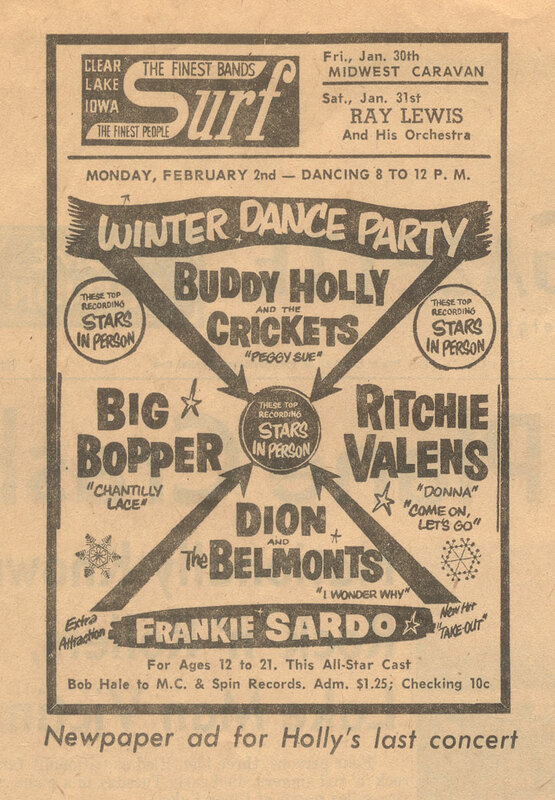 The new Surf Ballroom carried on the tradition, bringing in big-named entertainers and making it a "must-play" venue on the Big Band performance circuit. By the mid-50's, change was in the air and the Surf responded to the demands of young audience members by changing its format from Big Bands to more of the current performers...Rock and Roll had arrived at the Surf. The Surf was purchased by C.C Mitchell and Co. of Chicago. The Surf was sold to two Clear Lake business men, Ray Seney and Richard Casey. 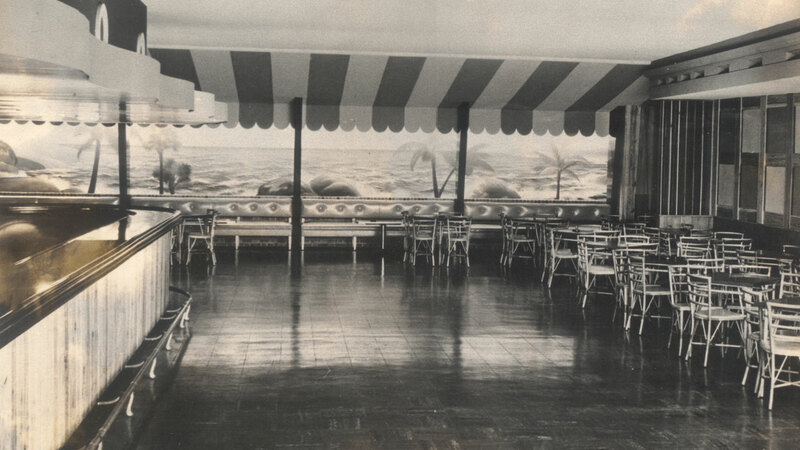 Some alterations were made to the building during this period, including the addition of an outside patio on to the south side, just outside of the "Cypress Room" (now the Surf's Lounge). The marquee over the entrance awning was also likely added at this time. The Surf was sold to Bill Eaton of Clear Lake and his brother, Kenneth Eaton, of Chicago. Mark Arneson, James Connell, Robert Halford, and Louis Schuler purchased the Surf. The Mad Hatter organized and hosted the first Buddy Holly Tribute event. 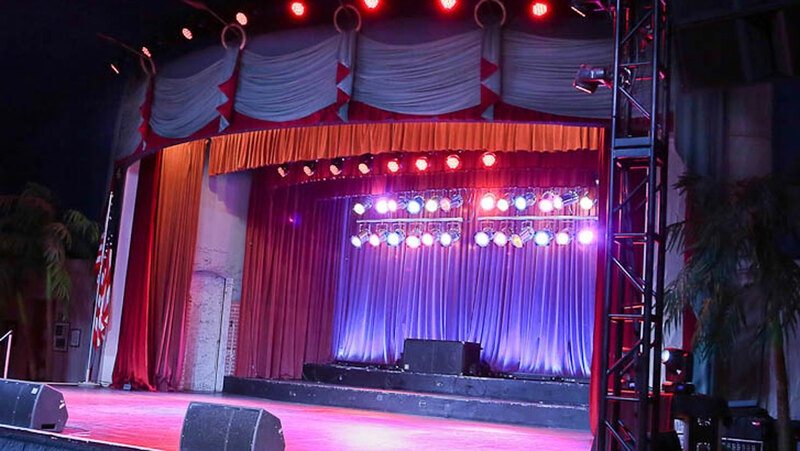 The red velvet swag and stage curtains were restored to their original appearance. 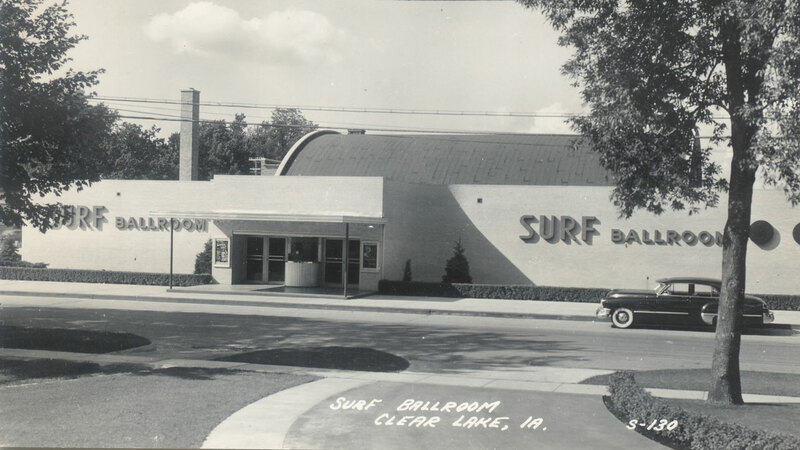 The Surf Ballroom closed its doors for a brief period before being purchased and historically rehabilitated by the Dean Snyder family of Clear Lake. At the time of its purchase, the venue stood in a state of disrepair with significant damage to the dance floor due to roof leakage. Wallpaper was removed in the foyer to uncover the pineapple stenciling, which was also restored. 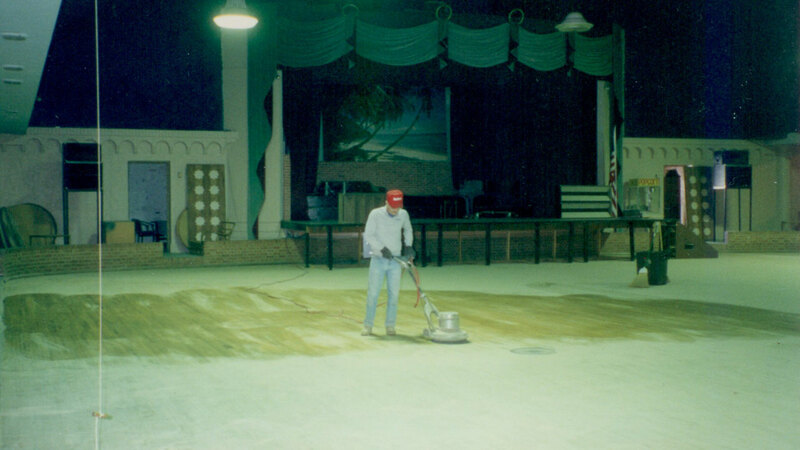 The original murals were uncovered, the palm trees were returned to the stage area, the maple floor was sanded, resealed, and waxed, and a replica of the original carpet was installed. The Surf reopened their doors just in time for the Winter Dance Party. 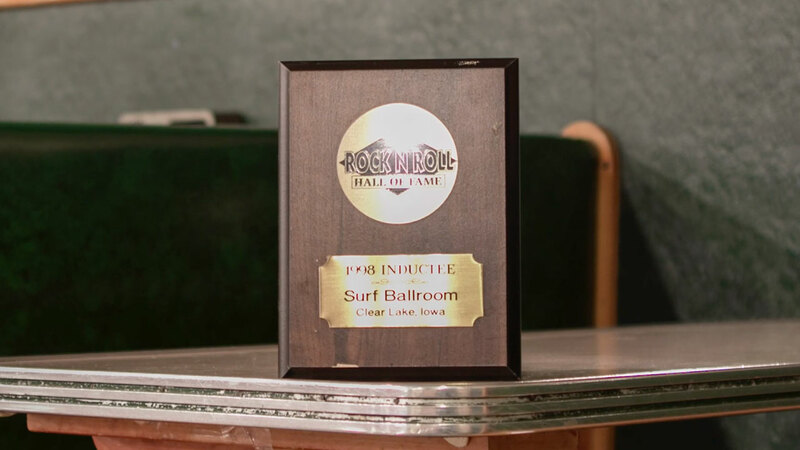 The Surf Ballroom was inducted into the Iowa Rock and Roll Hall of Fame. The Surf Ballroom was designated as an historic landmark by the Rock and Roll Hall of Fame. This honor was announced at a press conference during the Winter Dance Party - 50 Winters Later. 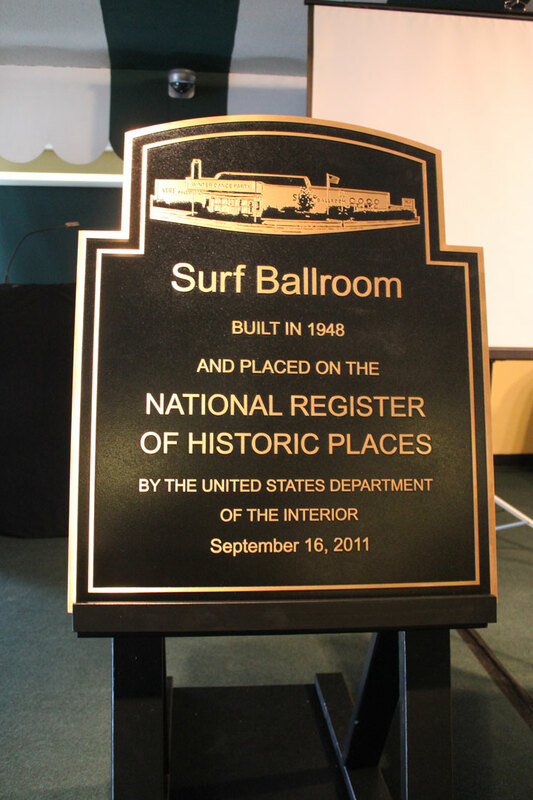 The Surf Ballroom was officially listed on the National Register of Historic Places by the United States Department of the Interior.